Create a new textbook by selecting “Info” > “New book”. Enter the basic textbook information. 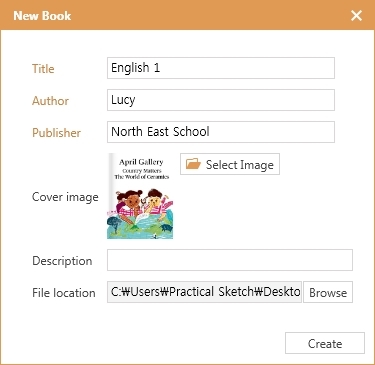 “Title”, “Author” and “Publisher” are required, and “Cover image” and “Description” are optional. Tip : The initial location to save the textbook can be changed under “File Location”.